Anything else I missed? Share it in the comments and I will update. It appears that Mova, that used to be at 14th/P, and said they would try to reopen along the U Street corridor, is indeed opening along the U Street corridor. 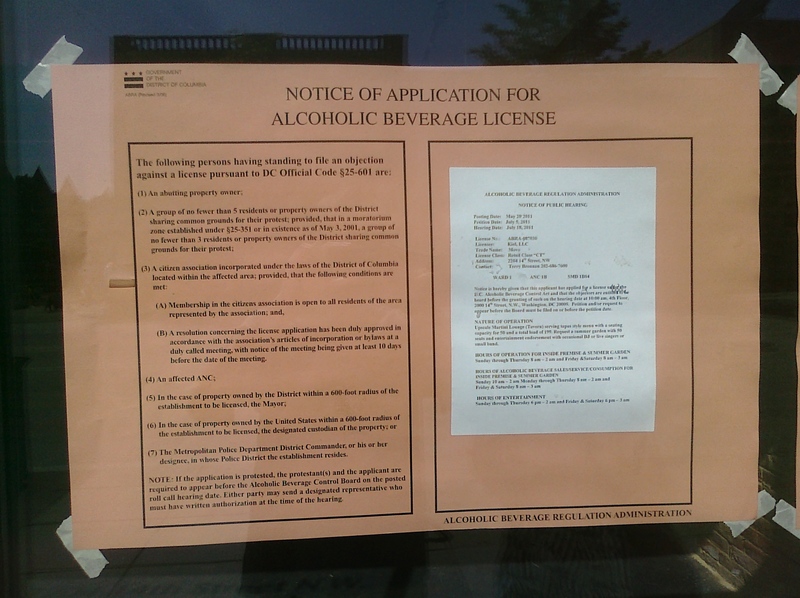 Formerly Bicycle Stations, there is now a liquor license application for a martini lounge and tapas style restaurant at 2204 14th Street. They are looking to have a capacity of 199, with a summer garden and live music. When Mova was on 14th/P it was an upscale gay bar. Not clear if it will continue in that vein up the block at 14/W yet. Demolition is starting for the District Condos project at 14th/S, as construction is pretty much booming along 14th street with the start of the YMCA project at 14/W and the old Nehemiah Center at 14/Belmont. 14thandYou has some good updates on various restaurant projects on the 14th street corridor, including news about Italian Shirt Laundry. MOVA Lounge, the gay bar that used to be at P and 14th, is looking to reopen on U Street.